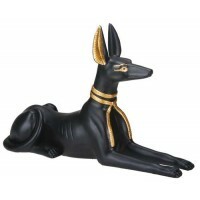 Anubis, God of the Dead, represented with a head of a jackal opened the road to the other world and presided over embalming ceremonies. 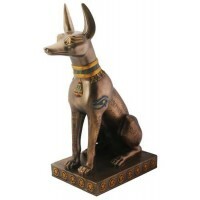 After a funeral, Anubis would take the deceased by the hand and introduce him into the presence of Osiris for the weighing of the heart ceremony to determine if the deceased was worthy of moving to the afterlife. 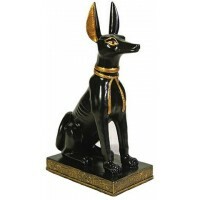 Anubis was the Guardian of Offerings brought to the ceremony by heirs of the deceased and he also guarded the mummy from evil forces in the night. 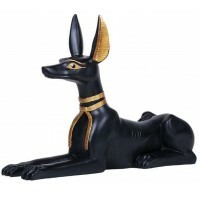 When the body was embalmed, a priest wearing a jackal mask acted as Anubis's representative. 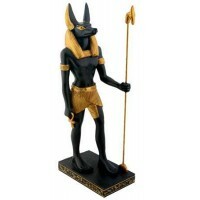 He also was the guardian of the Sacred Esoteric Mysteries. 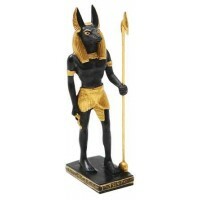 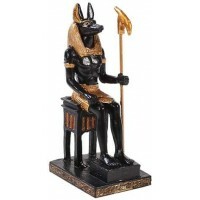 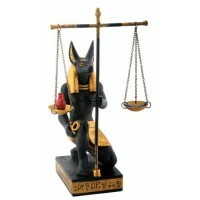 In this cold cast resin statue in black and gold, Anubis stands carrying the ankh in one hand and the “waas” scepter of divine power in the other. 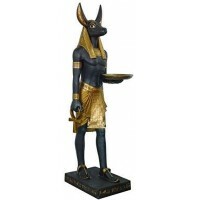 He stands 16 inches high with hand painted detail. 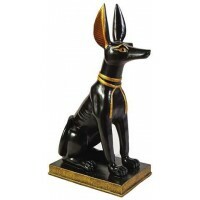 Item Number: YT-5277 | Approximate Size (Inches): 4.00 wide x 6.25 deep x 16.00 high | Approximate Shipping Weight: 6.00 lbs.